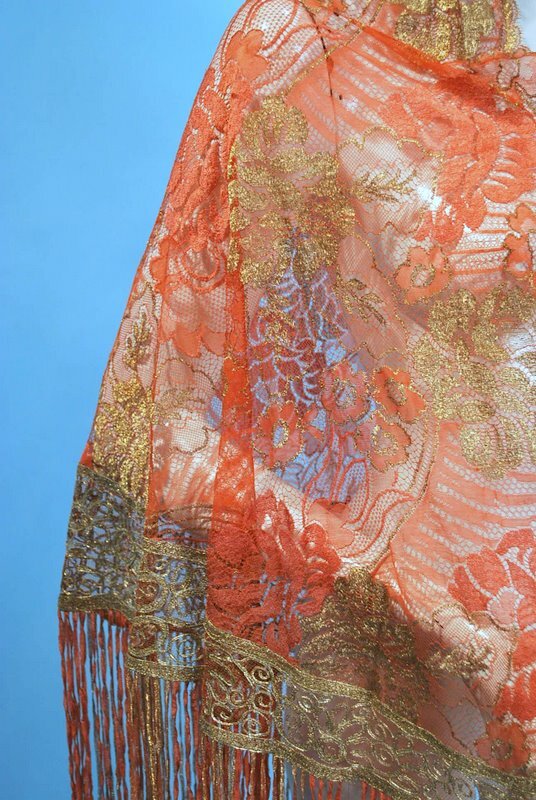 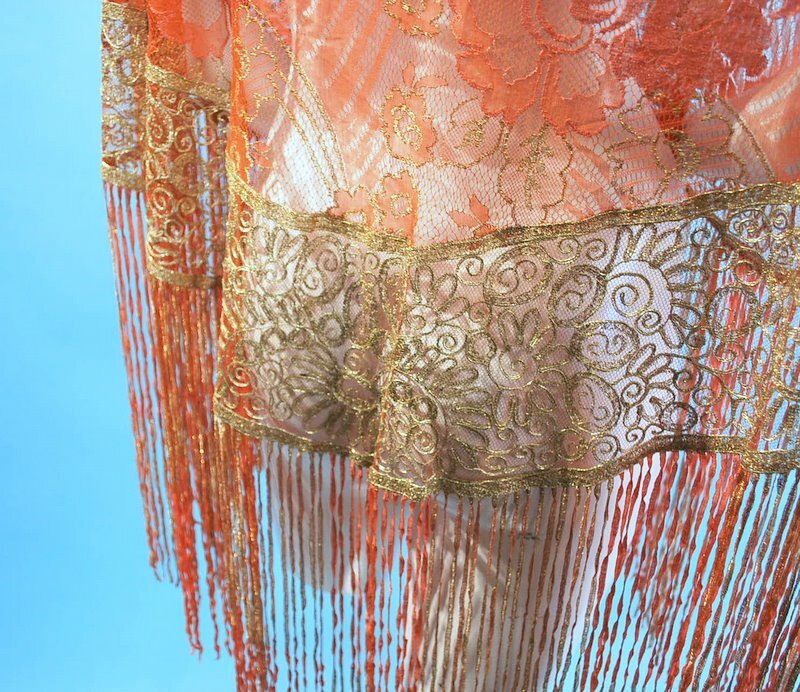 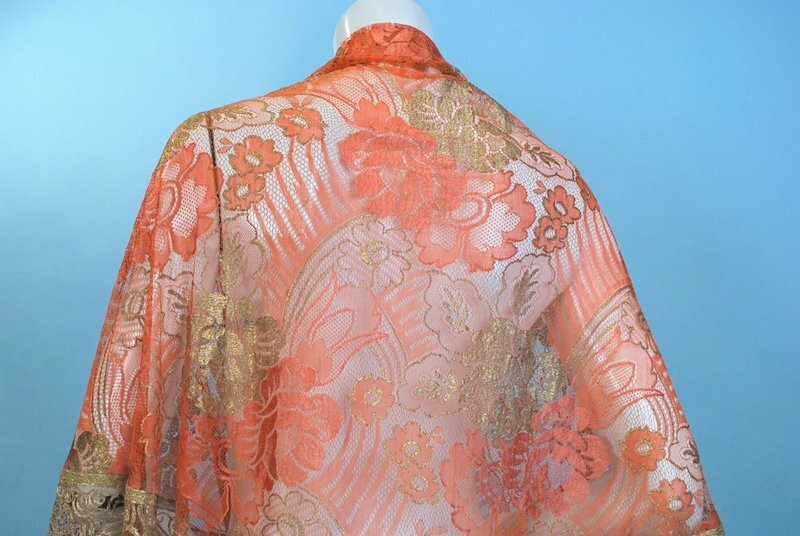 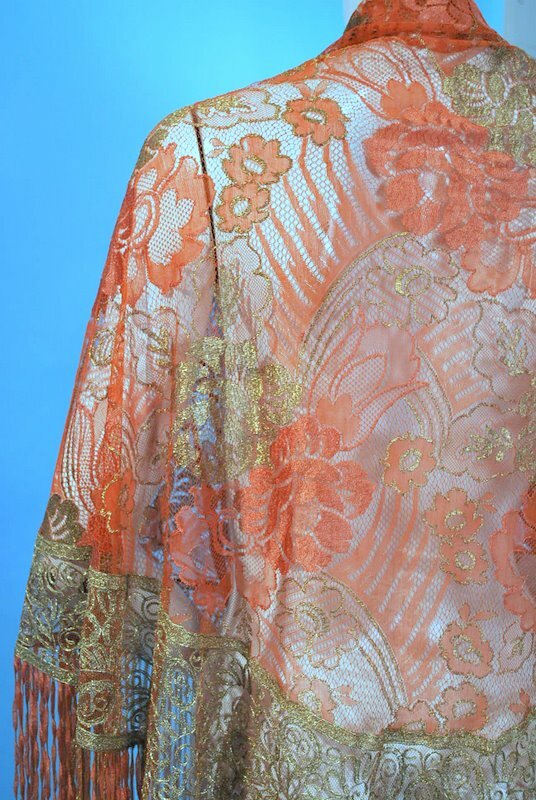 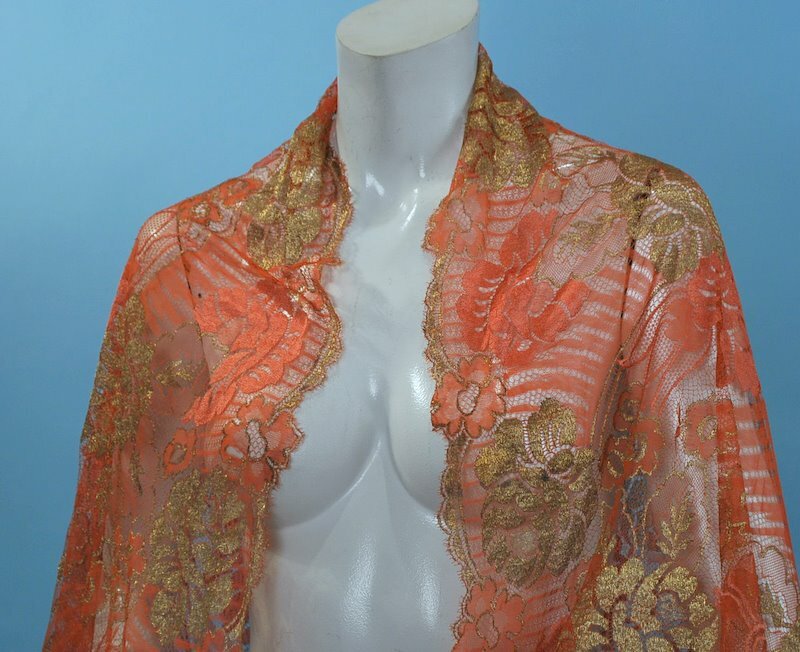 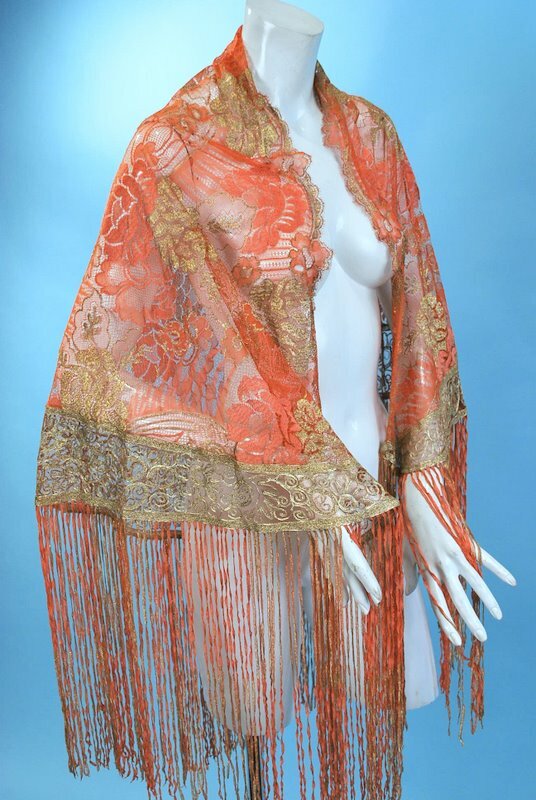 Vibrant Art Deco gold metallic and coral colored silk lace shawl, dating to the 1920s. 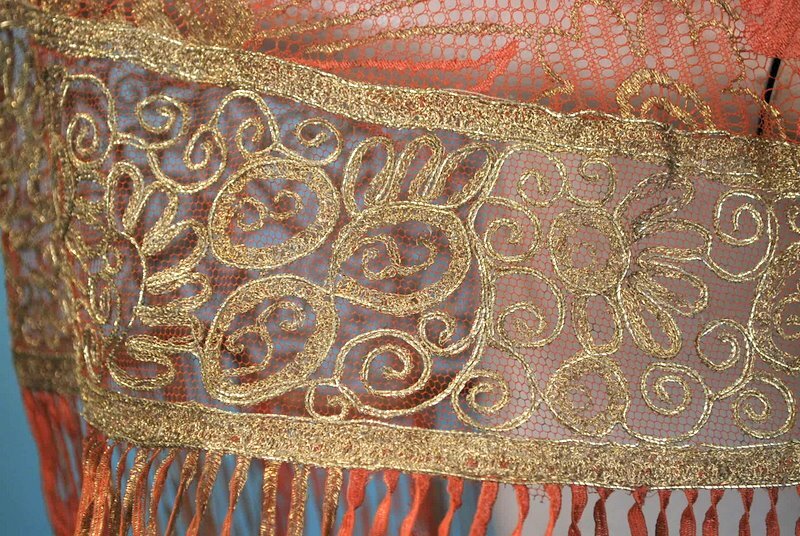 Glamorous stylized Deco roses with dynamic design elements. 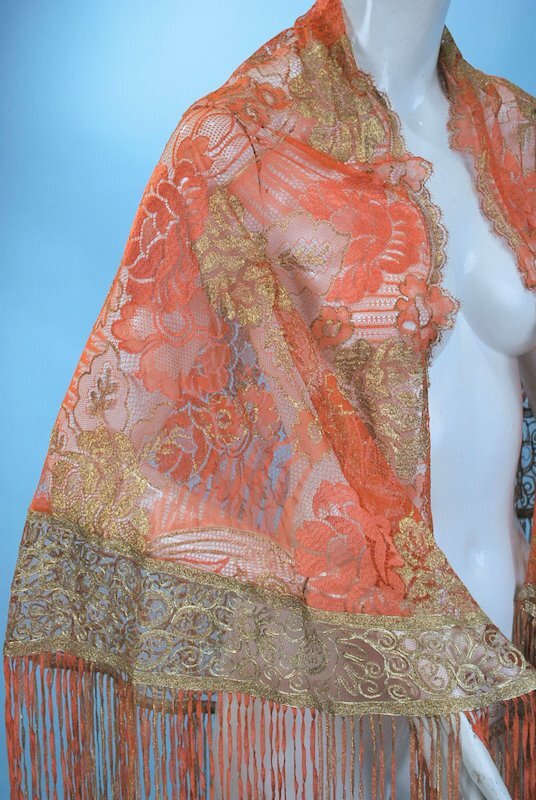 With a wide band of gold lace in a floral design along the bottom edge with long coral and gold fringe. 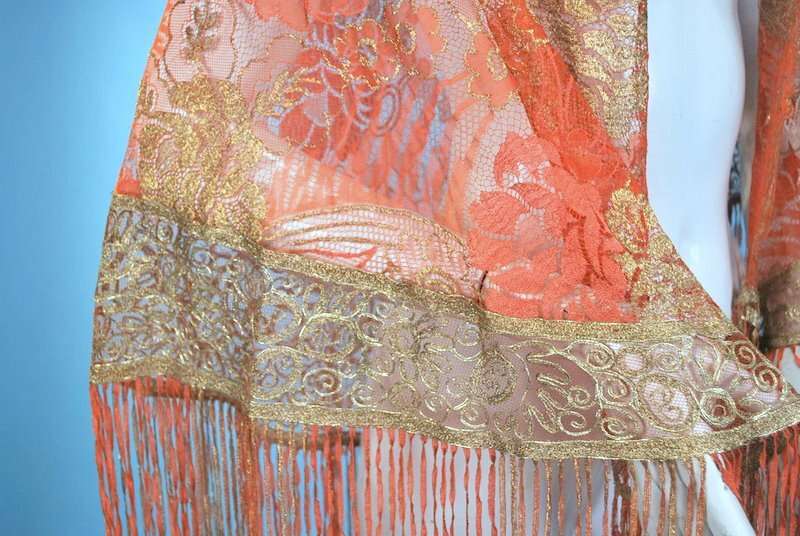 A true art textile! 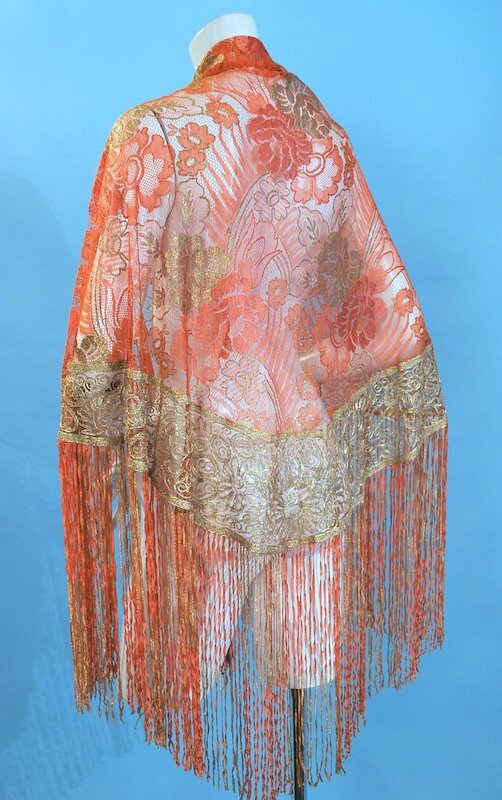 In excellent all original vintage condition. 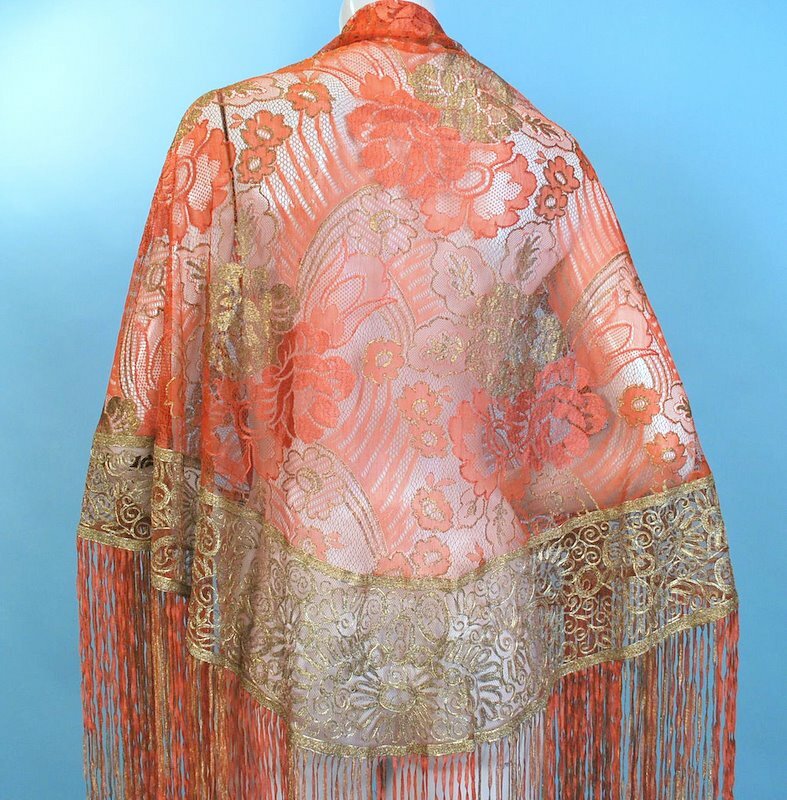 Measures along top edge 50″ wide and 30″ long at the longest with 16″ fringe.